Well that takes care of one issue. I’m actually somewhat surprised at the body count for this episode considering how bad things could have gotten. In the end Jack wasn’t that much of a direct threat in that condition. Which somewhat makes sense since her body wasn’t in any shape for fighting before triggering that….scene. In the end the most impact Jack had was mental attacks on the way out. One would think if she had the ability to kill someone in that situation she would have. I guess the best she could do was try to make them kill each other. Not that hard considering how fairly easy it was to manipulate Atalanta. No doubt she has a real problem dealing with child soldiers or assassins in this case. It is understandable why she thinks the way she does. Being abandoned as a child would make you rather sympathetic to children growing up in as bad or worse situations. But in this situation there wasn’t anything that anyone could do. Jack the Ripper already had her time and existence. The sights she showed were horrible, but they are her past. She isn’t a human child anymore, but a servant. Maybe they could use the grail to do something about that, but in that case…you still don’t need to keep Jack alive. Although who knows if even the grail can grant a wish of helping every child born in history. 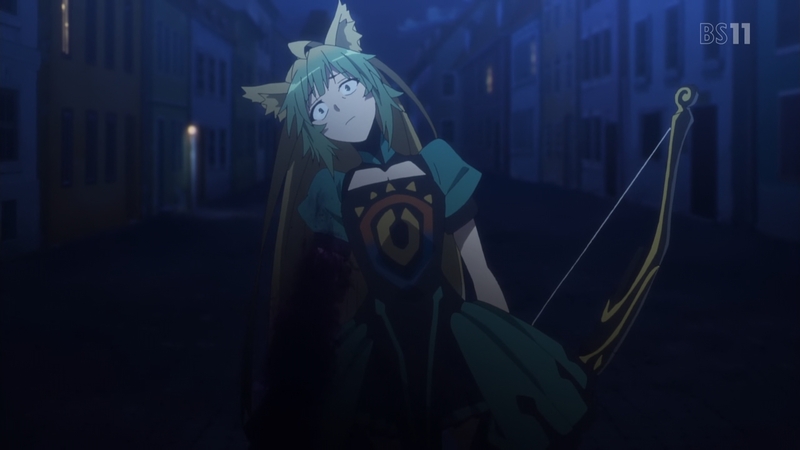 The downside is that Atalanta looks pretty messed up physically from the experience. That corruption could be a major issue for her as should be her obsessive hate towards Jeanne. Sometimes you have to make hard choices. It isn’t as if Jeanne wasn’t hurting from making the choice she did and following through. Jack has gone too far and exposed too many to danger. All the people in that town could be in danger. Is Atalanta fine with letting Jack continue to massacre people until this war is finished? Maybe Shiro’s angle will be able to find a better route, but this is the one that Jeanne is walking right now. Stopping Jack was a necessity. You can feel sympathy for what created her, but she is too broken and dangerous to keep around. In that sense I do respect Jeanne for her self-evaluation. She doesn’t consider herself this perfect saint. There is no deceiving herself about what her actions caused. She carried the flag, but her hands are no cleaner than any soldier who fought with her. If they hadn’t killed her when they did she would have kept fighting for God and for what she believed in. Of course Atalanta’s view of her being evil is also probably going too far. And Jeanne probably still deserves the label of a saint. It takes someone pretty remarkable to continue loving humanity even after what she’s seen. Humans can do horrible things, but she still strives to not hate them. 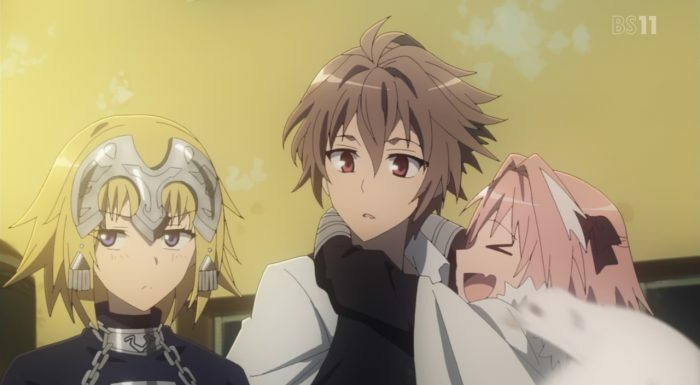 This was a hard wake-up call for Sieg though. His view of humanity that weren’t mages was relatively pure. 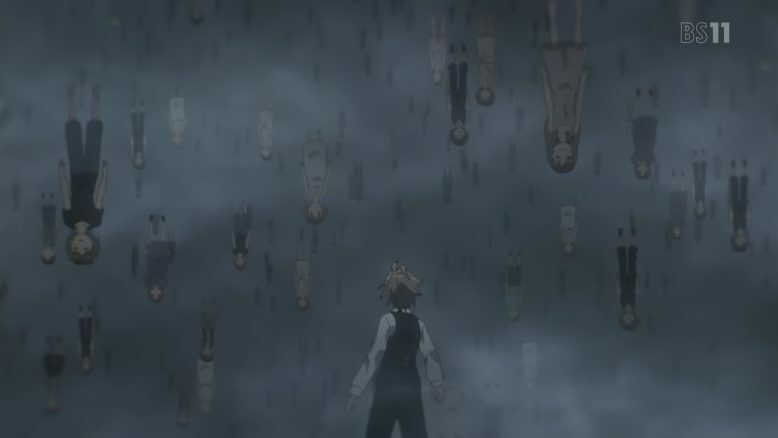 He could see the darkness in mages who would create homunculi like himself and use them. It was harder to see the darkness of humanity when taking that ‘date’ through the village. Of course I hope he does take Jeanne’s words to heart as well. While it is easy to hate and stop caring…it would be nice if he can take the harder route of continuing to strive to care for people. People aren’t perfect, but there are enough good ones in the world to make them worth caring about. 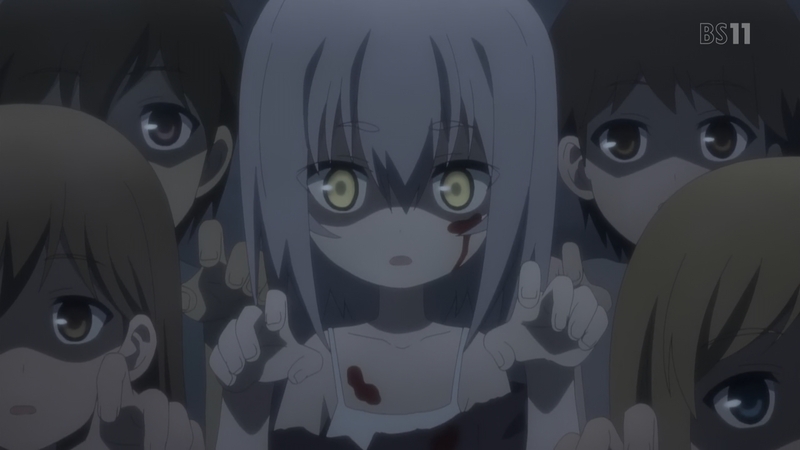 Overall it was a pretty solid episode. This wasn’t a hugely action packed episode outside of Atalanta shooting some arrows at Ruler. This was more about examining the ugly side of humanity and the horrors that could create a monster like Jack the Ripper (in this universe). There are good and bad sides to people and we saw plenty of the bad. No doubt we’ll see plenty of aftermath coming out of this struggle. Atalanta is going to be pissed when she gets back and frankly her condition should warrant some concern. I wonder if her side won’t just put her down themselves considering the danger she may pose. But her usefulness for defending their base from attack is pretty high so maybe they’ll tolerate her for the time being.